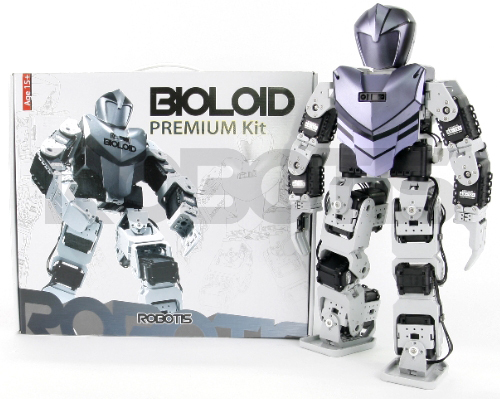 We have one Bioloid robot. The drone itself is a plastic quadricopter. An indoor body with foam rings surrounding the rotors, and an outdoor body that keeps the rotors exposed. The Baxter robot is an industrial robot with two arms in which different manipulators can be installed. We have the Research version of the robot. 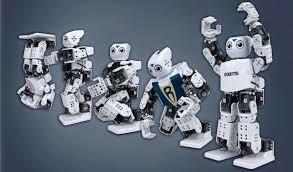 The Robonova-1 Robot is a humanoid robot that can be used by educators, students, and robot hobbyist. This robot has the capability of running, walking, flipping, doing cartwheels, and much more. 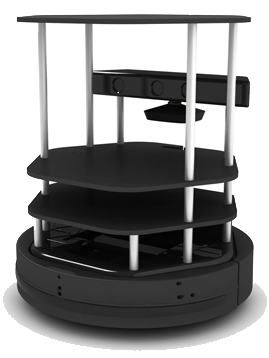 Robonova-1 stands 12” high, and is controlled with 16 powerful HSR-8498 HB digital servos built specifically for the Robonova-1 by Hitec. Other specifications include, a Karbonite gear train, over-voltage current protection, and “setpin” appendages for easy assembly. Completely customizable, the Robonova-1 can be used with optional devices such as, speech synthesis modules, R/C transmitters and receivers, and Bluetooth. even civil protection agencies and Universities use the Rescuer.